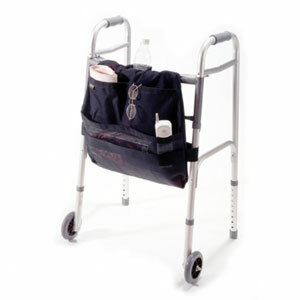 Walkers, rollators and knee walkers, and accessories. Call us at (505) 327-4041. 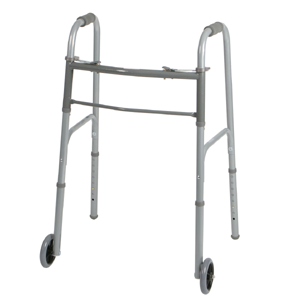 Walker with wide, deep frame and multiple height adjustments for comfort. 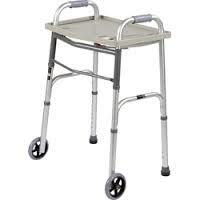 Deluxe aluminum rollator. 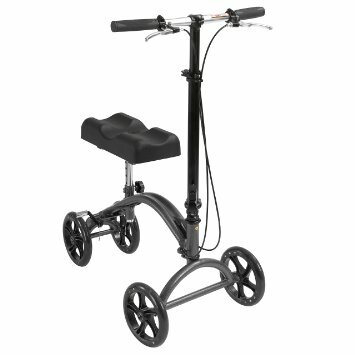 Ideal for those who spend more time outdoors, it features a durable, lightweight aluminum frame, large 8" non-marking polyurethane wheels and a rugged in-line braking system. 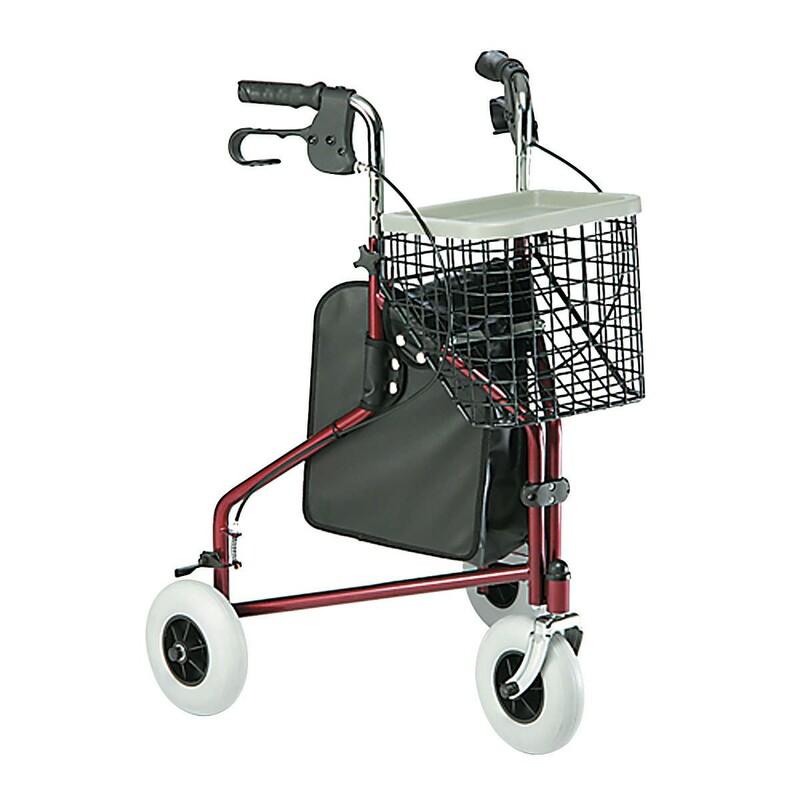 The Walker Carryon is available in two styles, a side mount and a front mount. 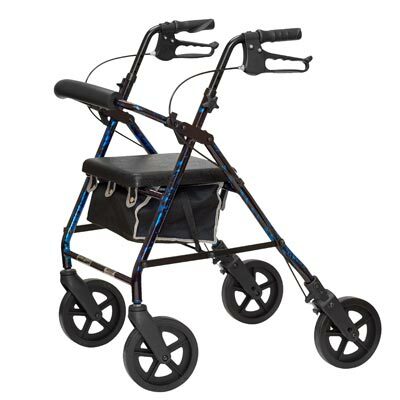 It makes the perfect compliment for every walker. The side mount Walker Carryon has a detachable beverage holder pockets big enough to let you store your personal items. The front mounted carryon also features a detachable beverage container and a spacious storage compartment, but also has three pockets that are deep enough to help you store a variety of personal items like cell phones, remotes or other items within reach. The Walker Carryon, both the side mount and front mount are equipped with a dual-strap attachment that tightly holds them to the walker frame. Made of nylon and available in black. Both are covered with a one-year limited warranty. 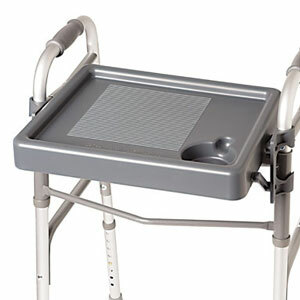 Fold-down walker tray supports up to 5 lb. Easily carry personal items from room to room. Made of easy-to-clean durable plastic.